A subscriber to my Youtube channel, Abd Elrahman Hafez, AKA Graphicman let me know he could create a Gcode file that would improve the runout on my router. After measuring various parameters of my existing router collet he created a file that I am putting to the test to see if it does indeed improve the accuracy of my router. 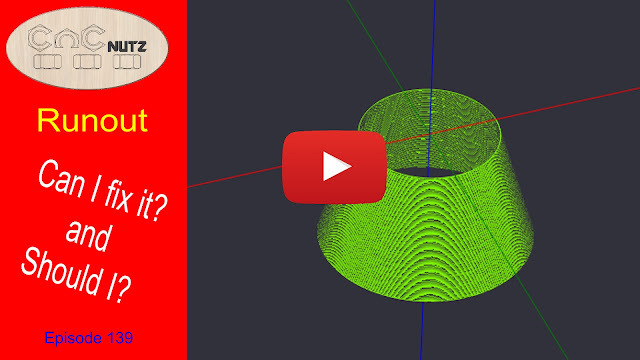 We need to determine the design of the collet. Since I have no spec's on my specific router they need to be measured as accurately as possible. 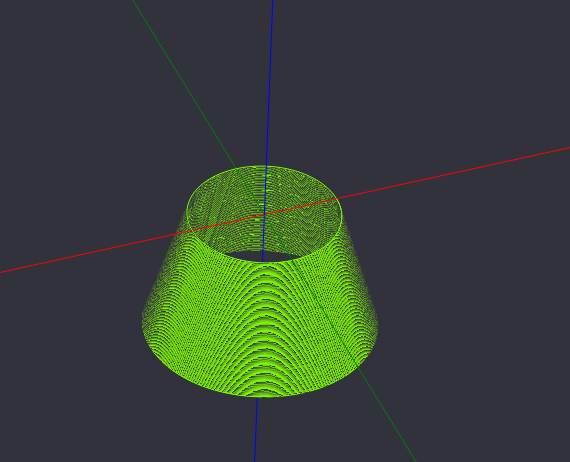 The first parameter I need to measure is the angle of my router collet. This is done by photographing the collet keeping the camera as square to the collett as possible. If the camera is on an angle it will alter the measured angle. 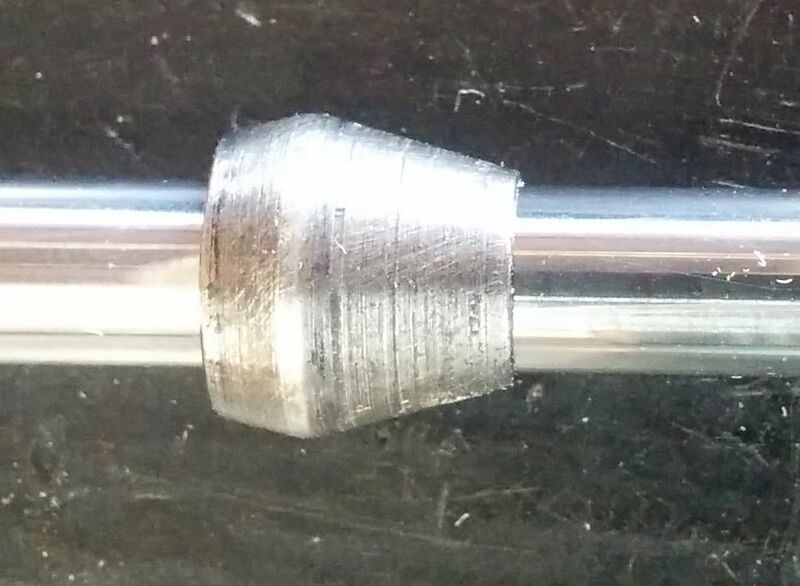 Using VCarvePro I was able to lay lines parallel to the sides of the collet and then measure the angle. 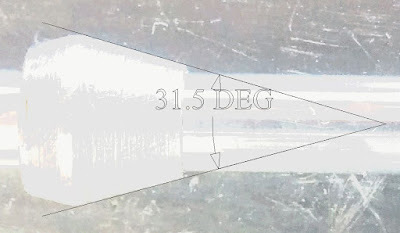 The other measurement needed is the width of the collet at the widest point and it's length. From these measurements a file could be created to produce a cone. 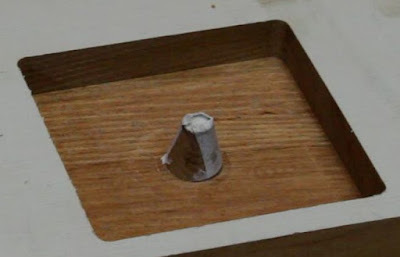 The cone is wrapped with sandpaper 240 grit and it covers 3/4 of the cone. The gap left is where any swarf will collect in the grinding process. The sand paper is lubricated with cutting fluid and the router is positioned over the cone. With the router running at a low speed it is moved up and down onto the cone so that the cone in the spindle is sanded. The router is moved up and down slowly to give an even wear pattern on the cone. For this I used the single step mode so that control could be kept and the router could be accurately positioned. See the video for more info on the grinding process. Before carrying out the grinding my router measured 0.004 of an inch or 0.1mm runout. After grinding the runout reduced to 0.001 inch or 0.0254mm. Any remaining runout will be in the collet itself. The actual collets you use can have a great effect on runout with cheap chinese collets being less accurate than percision made collets which are very expensive. Doing this may damage your router so only do this if you understand how this works and the consequences of it going wrong. My personal opinion is this would be good if you have a router with a damaged cone but otherwise it probably isn't worth the risk. The cone in a router is a finely machined part of the router and the walls of the cone should be smooth and without any gouges in it. 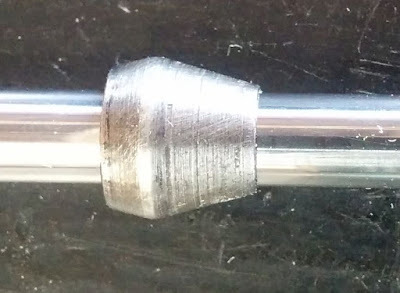 The grind angle must be accurate or the collet will stick or not sit correctly in the cone. Getting this wrong may render your router useless and you will need to replace it. You have been warned. This is an interesting question. I've been running my router for many years and the runout has not really affected what I make. If I was machining and needed to keep very high tollerances then runout is a problem but if I needed high accuracy, a home made machine probably isn't the best machine to use for such a project. It depends on what your requirements are as to whether you will derive any benefit from doing this to your router. If you are machining intricate works using small Vbit you may benefit greatly from reduced runout in your spindle. If you are machining large wooden projects then the effect of runout will be negligible. Remember that a piece of woods size varies greatly day to day depending on its moisture content. This part of the process is unfortunately outside of my ability to draw however Adb has said he is happy to draw the cone for those who wish to give this a try. Below are links to his Facebook page where you will be able to message him. Also his YouTube channel where you can view some of his excellent work. As I said in the video, only do this if you can afford to loose the router of spindle which I can't afford.